Just read the news about the death of Bobby Fischer, the only World Chess Champion from the US and was said to be the greatest chess player of all time. It's a pity that he didn't really play competitively in his last 30 years or so as I believe that he would have created a lot more great games. 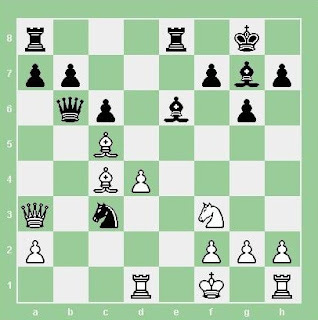 In the above, Fischer's queen was being attacked by the white bishop at c5. Instead of moving his queen away, he sacrificed it by moving his bishop to e6! In exchange of the queen, he gained massive attack opportunities with his minor pieces and finally won the game.